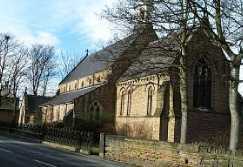 All Saints’ is a growing, friendly church at the heart of the village of Clayton West in Yorkshire. 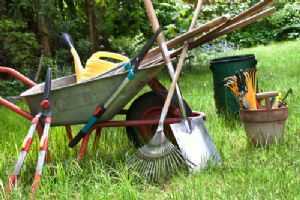 As part of the Church of England we seek to serve the local community and have been doing so for over one hundred years. Through our worship, music-making and involvement in Churches Together we hope to show something of God’s love and concern for all in Clayton West and the wider world. The church is open daily from 8am to 4pm. Please feel free to come inside and look around, say a prayer or just enjoy a moment of quiet; the porch is a good place to shelter from the elements on a day’s walk. Our main services are on Sundays at 9:15am for worship, or for a quieter mid-week service on Tuesdays at 9:15am. All are welcome. For more details click here. Our social events are open to all. In addition to our monthly coffee morning we hold other events throughout the year, including walks and meals out. Check on forthcoming events, contact us for details or see the calendar on one of out notice boards here or inside the church. Midweek Communion at All Saints' - 9.15am on the following Tuesdays: April 9th and 23rd, May 7th and May 21st. April 6th, July 6th - 10.30 start. Tuesdays - 12th,19th,26th March and April 2nd and 9th... meet at the Methodist Church, Wakefield Road for 7.30pm. All Saints' Church is now in a position to hire out its' facilities. Please see the Booking form and General Risk assessment.